Dear Maj.Yadav, This holiday was a dream beyond expectations. We did all we set out to do & more. We were enchanted by the whole trip. I wanted to take a quick moment to let everyone know that I just received a call from Hilde Kalish, who has returned from her trip to India. It is not often that I get a "thank-you" that is quite as heartfelt as Hilde's was this morning. She raved about the quality and professionalism of the Wanderlust staff, and said that she and her husband felt welcomed and embraced from the moment she stepped off the plane until their return to the airport. She claims that the trip was a life-changing experience for them both, and the expectations that they went with were far exceeded in every way. Now that we are home and recovered from jetlag this is to let you know that all arrangements were to our satisfaction. All services were efficiently carried out and all personnel, guides and drivers carried out their respective tasks very well. Similarly all the hotels in all the locations were extremely satisfactory regarding rooms, facilities and staff attentiveness. In particular I would like to commend Vikram who was our driver in Gujarat for the period 1 March, when he met us in Ahmedabad, until 11 March, when he delivered us to Bhuj airport. He is a very pleasant individual, a capable and safe driver, and he was most attentive and looked after us in a very efficient manner in the locations where we did not have a guide. As you can see we were very pleased overall and will certainly use your services again for any future trips to India. In addition we will have no hesitation in recommending Wanderlust Travels to our friends. Dear Murray We are back now to our business duties.We thoroughly enjoyed our time in India.Wanderlust staff have been very helpful and responsive at all times when we needed them. A special mention for the drivers, they were all very professional and courteous.I will call you once I get over the jetlag. Dear Mr. Yadav. I am writing to express my pleasure with all the arrangements made by you and your company for me and my wife's two-week tour of India in December. Everything was excellent Most of the guides were very fine, especially the ones in Delhi, Agra (five stars), Jaipur, Jodpur (five stars), and Udaipur. Our driver, Mr. RambaranSingh, deserves special praise. He was perfect through and through. We appreciated his willingness to take our excess baggage from Udaipur back to Delhi in his car. He took us to several places that the guides left out of our tours, having found out that we were, for example, especially interested in Gandhi. Please give Mr. Singh our warmest regards. We're back safely from India via Dubai, with no tummy problems to report, after a thoroughly enjoyable holiday. India is certainly steeped in history and great architecture, for us there is no doubt the TajMahal was definitely the highlight but all the other forts in Agra, Jodhpur, Mehrangarh and Chittorgarh are fantastic. We missed out fort in Delhi it was closed to prepare for Republic Day but in any case it was our one day of rain, even then we managed a rickshaw ride! The hotels were fine, it was particularly excitng to stay in the heritage hotels where they are partly hotel and still the residence of the royal families. Turning to more positive experiences our driver Ram Baran Singh was quite brilliant we enjoyed every minute we spent with him. His driving skills in a country where truly there is a unique 'highway code' made us feel secure and his knowledge enroute and willingness to show us as many things as possible made the trip fantastically enjoyable. We would very much appreciate MajYadav passing on our thanks to Rambaran and please give him and his family our very bestwishes and thanks for his attention. I'm sure we'll be chatting in the future, in the meantime our very best wishes and thanks for your help and advice. Dear MrYadav, As I told you on phone, I want to thank you & your team for the wonderful trip in India. We will be glad to recommend you to our friends & hope to return again. Dear Major Yadav We have just returned from India today and I am just emailing to let you know that we had a most wonderful time and that all the arrangement undertaken by Wanderlust worked like clockwork! You staff have been very attentive and punctual. The three drivers looked after us really well. I would also like to say that your accommodation recommendations were excellent as was the Indian food served throughout. Our best experiences were in Kanha, where we saw 5 tigers; Panna's sheer diversity was greatest and Bandavgahr was noteworthy for being too highly focused on the Tiger Show. Thanks again to you and all your staff for helping of holiday to be memorable; I would recommend Wanderlust to any friends traveling to India. Dear Mickey, Elsie and I are just back from our six-week trip in India. I think it is the sixth time that you have organized our travels through your fascinating country over the past 15 years. We have always greatly appreciated your highly reliable services, and in particular your preparedness to attend to our somewhat unusual requirements, for instance your gathering of a set of classical music artists to entertain us and our friends at the Mandawa palace in Rajasthan, your efforts to locate and to obtain hard-to-get tickets to the Dover Lane Music Conference in Calcutta, or your arrangements for our stay in the Directors´ Bungalow at a tea plantation near Darjeeling, long before tea plantations became fashionable with foreign tourists. We have greatly enjoyed your services even in places far away from North India, e.g. in Pondicherry, or on a houseboat in Kerala's backwaters. Sincere thanks for it all! We are back home and would like to thank you and your team for the excellent efforts to make our travel a full success. We are very satisfied and full of positive emotions. Ofcourse we are going to recommend your company to other potential customers. Please forward our compliments to Mr. Singh, the best driver of India, too. Thank you for all of your help in planning out our golden triangle tour. You have been very helpful and I appreciate your responsiveness. Everything is going wonderfully well. Our driver R.B.Singh is great as well. He was very welcoming, reliable and patient. Our trip has gone wonderfully smooth with both of your assistance and it is very much appreciated. I would recommend your services to anyone that ask and plan to write agreat review on trip advisor. I just wanted to write to say how very much Zara Taylor & I enjoyed our tour. In BhaverNath we had a very safe, courteous & considerate driver. He was also extremely knowledgeable about Gujarat & anticipated our every need & want. It was a pleasure to travel with him. 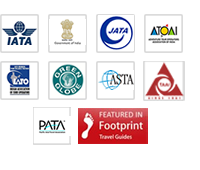 I certainly would not hesitate to recommend your company&Bhaver to any friends wishing to travel to India. A big thank you for our very well organised trip. We had so many good adventures, and it was just heaven to be met at each stop by the good Mr Singh, and transferred safely. I have to say that Ranthambore was a highlight and the hotel there was divine Many many thanks and sorry it has taken so long to thank you.